Melanie leads operational efforts for the centers, institutes, strategic research initiatives, and core facilities under the purview of Notre Dame Research. She implements and reviews management control systems, provides structure, and drives work processes for these entities. 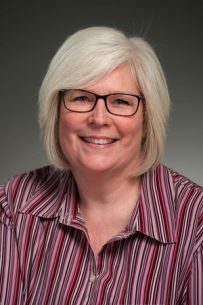 Melanie joined the University in 1988 and served as a faculty member in the Department of Chemistry and Biochemistry, and as the Assistant Director of the W.M. Keck Center for Transgene Research. She served as the Director of Operations, the Strategic Research Programs Director, and a Director of Grants Program Management in Notre Dame Research. Melanie has a bachelor’s degree in Biological Sciences from Wright State University and a Master of Science in Administration from the University of Notre Dame.